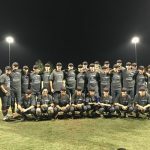 Multiple Teams · May 22 CIF Div 1 Baseball 2nd Round vs. Servite HS!! 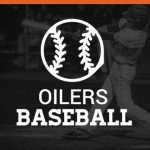 Come out and cheer on the Oilers as they face Servite HS- Tuesday at 3:15pm at Servite HS!! Go Oilers!! These incredible seniors will play their final league game today at Newport Harbor HS at 3:15pm. Go Oilers Brackets for CIF will come out on May 15th. Stay tuned for when and where HBHS baseball will play! 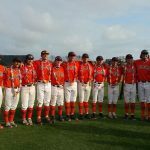 Multiple Teams · Apr 25 2017 Boras Baseball Classic South Champions! With a big 9-4 victory tonight over defending tournament champions Mira Costa, the HBHS baseball team is the 2017 Boras Baseball Classic South Champions! They will face the Boras Classic North champions Bellarmine Prep on May 6 at UCLA! Go Oilers!! The team had a great win today vs Canterbury 4-3 to finish off the tournament 2-2. 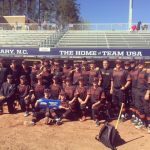 This tournament brings the best of the best together for 4 days of great baseball. The boys played tough every game and made HB proud! 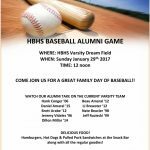 Multiple Teams · Jan 27 HB Baseball Alumni Game this Sunday! !